Install your sat dome, camera or searchlight above your radar using a Seaview dual mount. Doing this ensures maximum performance out of your electronics and eliminates radar interference. The bottom mounting plate is pre-drilled to fit all closed dome radars, while the top mounting plate is modular and sold separately. The modular design allows the user to not have to replace the entire mount when a different sat dome is used. Instead the user can just replace the top plate. Lower mounting plate is pre-drilled making it a easy clean installation. 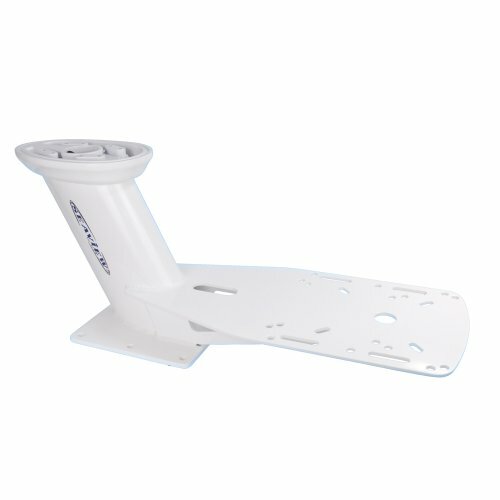 Oval hollow mast section allows for easy cable management. Please note that a top plate is required to complete this mount. Top plate sold separately. If you have any questions about this product by SEAVIEW, contact us by completing and submitting the form below. If you are looking for a specif part number, please include it with your message.